Class, refinement and personality for these two great South African wines: barrique, complex and beautifully structured aromas, outstanding balance. THE WINE Baroness Nadine of Rupert & Rothschild Vignerons is a South African Chardonnay that is appreciated for class, sophistication and personality. Rests a year in French oak barriques. Attractive stone and mineral aromas with fresh lemon flowers and grapefruit shades. A delicate composition of lemon nut and light macadamia roasted. Really great. Baron Edmond of Rupert & Rothschild Vignerons is a wine with the aromas of sea and blueberries with a note of fresh coriander. Thicknesses of complexity develop on the palate with silky tannins. Exceptional balance, beautifully structured with hints of chocolate. To be forgotten in the cellar, even for a decade, could give you pleasant surprises. THE COMPANY The Rupert & Rothschild Vignerons was founded in 1997 by the collaboration between "Baron Edmond de Rothschild" and the Rupert family, both of which share a strong passion for wine. Located in South Africa, at the foot of Simonsberg Mountain, the farm is in the valley where, over three hundred years ago, the first French hermits moved to cultivate the vine, finding in this area a territory similar to that of some regions wineries in France. In addition to producing high quality wines, Rupert & Rothschild is very careful to preserve and respect the environment, philosophy that is also found in the cellar, where the grapes come only if they are in their optimal state of health and maturation. The vinification involves minimum artificial intervention, and for the refinement of wines are used barriques, French oak barrels or cement tanks. Three labels in all, at the moment: a chardonnay in purity and two red blend fruit obtained from international vines. 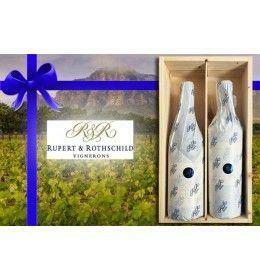 South African Dr. Anton Rupert and French Baron Edmond de Rothschild give us these pearls, where their vision and guiding principles were brought forward by their respective children, Anthonij Rupert and Baron Benjamin de Rothschild, in order to produce wine of the best quality. Before 120,00 € tax incl. Alcohol Content 13% vol., 14% vol. Baroness Nadine of Rupert & Rothschild Vignerons is a South African Chardonnay that is appreciated for class, sophistication and personality. Rests a year in French oak barriques. 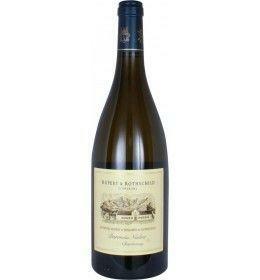 Attractive stone and mineral aromas with fresh lemon flowers and grapefruit shades. A delicate composition of lemon nut and light macadamia roasted. Really great. 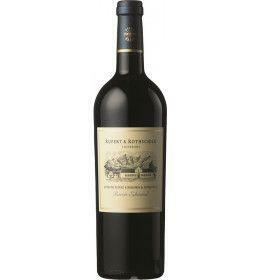 Baron Edmond of Rupert & Rothschild Vignerons is a wine with the aromas of sea and blueberries with a note of fresh coriander. Thicknesses of complexity develop on the palate with silky tannins. Exceptional balance, beautifully structured with hints of chocolate. To be forgotten in the cellar, even for a decade, could give you pleasant surprises. The Rupert & Rothschild Vignerons was founded in 1997 by the collaboration between "Baron Edmond de Rothschild" and the Rupert family, both of which share a strong passion for wine. Located in South Africa, at the foot of Simonsberg Mountain, the farm is in the valley where, over three hundred years ago, the first French hermits moved to cultivate the vine, finding in this area a territory similar to that of some regions wineries in France. In addition to producing high quality wines, Rupert & Rothschild is very careful to preserve and respect the environment, philosophy that is also found in the cellar, where the grapes come only if they are in their optimal state of health and maturation. The vinification involves minimum artificial intervention, and for the refinement of wines are used barriques, French oak barrels or cement tanks. Three labels in all, at the moment: a chardonnay in purity and two red blend fruit obtained from international vines. 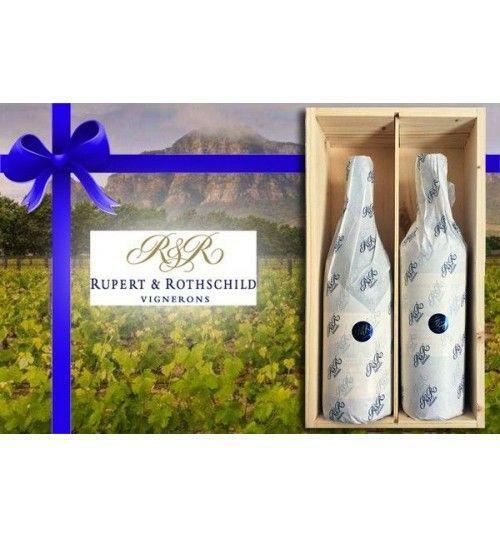 South African Dr. Anton Rupert and French Baron Edmond de Rothschild give us these pearls, where their vision and guiding principles were brought forward by their respective children, Anthonij Rupert and Baron Benjamin de Rothschild, in order to produce wine of the best quality. Solid Fir Wine Box with joint and hinges. 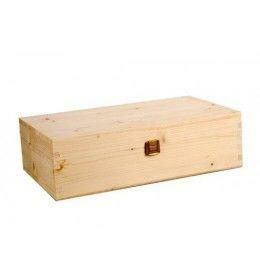 Excellent and elegant box for presents. It hosts 2 bottles. Measurements: cm.33,5x17,5x9 gr. 860 Note: This does not include bottles of wine.